Vodafone Automotive Alarms. (Cobra) | Armson Automotive Engineers. INDEPENDENT LAND ROVER SPECIALIST. FIRST AID FOR YOUR CAR! 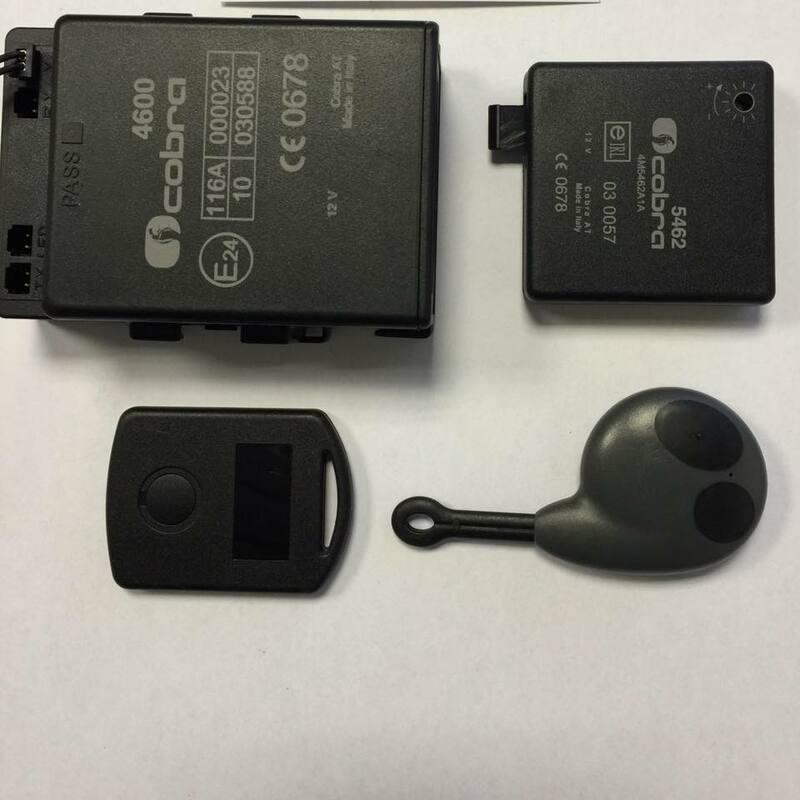 Cobra Alarms are now part of the Vodafone Automotive. But we will refer to them as cobra for ease. BASIC KIT 1. alarm,remotes(if required), ultrasonics, 1 x immobiliser circuit. BASIC KIT 2 . alarm, remotes(if required), ultrasonics, microwave emitter, 1 x immobiliser circuit. MID KIT. alarm, remotes(if required), ultrasonics, 2 x immobiliser circuits, microwave emitter, cdl. HIGH KIT.alarm, remotes(if required), ultrasonics, 2 x immobiliser circuits, microwave emitter,cdl, adr cardsx2. ULTRA KIT. alarm,remotes(if required), ultrasonics, 3 x immobiliser circuits,microwave emitter, cdl, adr cards x2, incar siren. SPEED LOCKING. if your vehicle has a electronic speedo we can integrate speedlocking, this allows the car to automatically lock when you drive off. TRACKER can be alarm linked for extra security with a app to connect to your phone. KEYLESS ENTRY UPGRADE. alarm,adr cards x2, incar siren. ELECTRONIC FLUID SOLENOIDS. these can be fitted to the fuel lines to work once the alarm is armed. DEFENDER ULTIMATE KIT. 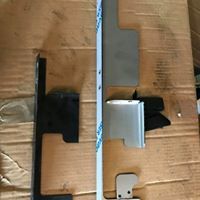 Take the ultra kit we do and add the following, rear window grill kit,anti pry door hinge plates,bonnet cable vent and slam panel kit and a set of tamper prof door hinge screws. it is the most complete kit to be offered on any make of car we would class this above any thatham approval there is. Prices start from £495 fitted. 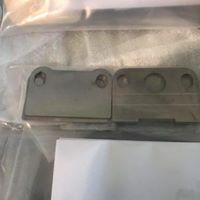 Each kit is after the basic are quoted per vehicle and any kit can be modified as is require. Depending on the kit required fitting time is from a few hours to 3 days! it all depends on the level and how hard we make it to find the wires. Please bear in mind that the quicker the install of an alarm the easier it is to find and attempt to disable! WARNING! THE AVERAGE CAR IS STOLEN IN LESS THAN 30 SECONDS! WITH THE USE OF GRABBERS FOR KEYLESS ENTRY ITS EVEN LESS! THE MORE COMPLEX OUR INSTALLATION IS THE HARDER/LONGER IT TAKES TO TRY AND STEAL YOUR PRIDE AND JOY, THE MORE CHANCE THEY WILL GIVE UP! 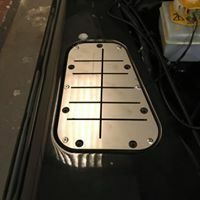 WE NOW FIT LANDROVER DEFENDER SECURITY DEVICES WITH OUR ALARM INSTALLS! Just fitting these three items and a set of tamper proof door hinge screws makes life a little harder for steeling a defender.